Big Cypress National Park. 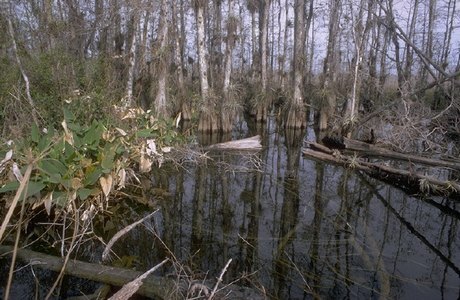 The first National Preserve in the National Park System, Big Cypress has a mixture of pines, hardwoods, prairies, mangrove forests, cypress strands and domes. White-tailed deer, bear and Florida panther can be found here along with the more tropical liguus tree snail, royal palm and cigar orchid. This meeting place of temperate and tropical species is a hotbed of biological diversity.